At times, many people are forced to stack their things in a small space as they do not have enough available storage space to hold their belongings. People who acquire too much stuff may get stressed out if they fail to find a suitable place to store their positions. The solution to your storage problems is actually quite simple. 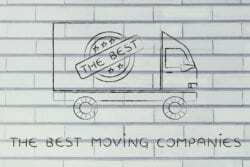 Best Moving and Storage has the storage units in Naples, FL for rent you need to declutter your life and free up space in your home or office. People have many different reasons for leasing our storage units. However, whatever the reason may be, rest assured, we can accommodate your short or long term storage needs. If the items you need to store are temperature sensitive or extremely valuable to replace you will enjoy our climate controlled units which are highly protected and secure. Additionally, if you need access to your unit quickly or frequently know your possessions can be accessed anytime during normal business hours. There are many reasons to rent storage space in Naples. Some people relocating to new offices and apartments find themselves with too many items that cannot be accommodated inside the new location. If this sounds like your situation then please give us a call to learn how we can help solve your storage needs and make your next residential move or office relocation as smooth as possible. Call Best Moving and Storage today at (239) 592-6565 to learn more about our expert moving and storage services in Naples, FL.